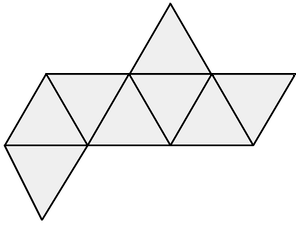 Calculations at a regular octahedron, a solid with eight faces, edges of equal length and angles of equal size. Enter one value and choose the number of decimal places. Then click Calculate. 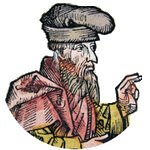 The regular octahedron is a Platonic solid. Edge length, diagonal and radius have the same unit (e.g. meter), the area has this unit squared (e.g. square meter), the volume has this unit to the power of three (e.g. cubic meter). A/V has this unit -1. 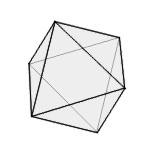 Net of an octahedron, the three-dimensional body is unfolded in two dimensions.